Professor Ruocco is the recipient of the 2019 Mid-Career Investigator Award from the North American Society for the Study of Personality Disorders (NASSPD). The award was established to “recognize an individual whose work has influenced the field through his or her overall professional and scientific productivity, and through contributions that have increased our understanding of personality and personality disorders or their treatment.” The award will be presented at the society’s conference in Pittsburgh, PA, on April 11-13, 2019. Professor Bramesfeld is very excited to join the UTSC Psychology Department as an Assistant Professor, Teaching Stream in the area of Social Psychology. She has a deep passion for teaching and learning, pedagogical research, and undergraduate research supervision. As a social psychologist, she is in a unique position to understand how motivation, mood, and social others influence the way that people seek out, process, and use information in different learning contexts. She is particularly interested in the use of technology to create immersive learning experiences that allow people the opportunity to examine complex social phenomenon from multiple perspectives and viewpoints. These activities advance the teaching of psychology, increase engagement in online learning environments, promote community-engaged teaching and research, and provide a means to increase experimental and mundane realism in social psychological experiments. Prof. Bramesfeld earned a PhD in Social Psychology from The Pennsylvania State University. She has previously worked as a Data Analyst and Educational Developer for the Centre for Teaching Support and Innovation (CTSI) at the University of Toronto and held faculty positions at Ryerson University (Toronto, ON), Maryville University (St. Louis, MO, USA), and Saint Louis University (St. Louis, MO, USA). She has over 10 years of experience teaching courses in psychology, social psychology, research methods, and statistics. Professor Laura Cirelli’s research investigates how infant social-emotional behaviour is influenced by engaging musically with others. She uses behavioural and physiological methods (e.g. skin conductance, electroencephalography) to investigate the development of music perception and production. Prof. Cirelli completed her PhD in Psychology at McMaster University and her Postdoctoral Fellowship at the University of Toronto Mississauga. This fall at UTSC, Prof. Cirelli will be recruiting students and volunteers for her lab! Professor Vina Goghari will be presenting at the Association for Psychological Science Convention in San Francisco, May 24-27, 2018. In her talk, titled "Brain Abnormalities in Schizophrenia: A Neuroimaging Family Study", Dr. Goghari will discuss a program of research that examines brain abnormalities in individuals with schizophrenia, their relatives, and controls. Research from three different imaging domains: morphology, structural connectivity, and functional connectivity – has yielded complementary evidence for disease-specific, genetic risk and compensatory brain mechanisms associated with schizophrenia. The University of Toronto’s new President’s Impact Awards are designed to acknowledge and honour the achievements of researchers whose work has had significant impact beyond academia or a specific field of research. Winners will be members of the university’s newly created President’s Impact Academy, which will advise the university community, particularly to help develop programs and research collaborations and partnerships. Interested in applying to graduate programs in clinical psychology but unsure where to begin? Learn about the application process from current clinical graduate students at the "How to get into Clinical Psychology" workshop. Topics include: personal statement, standardized testing, relevant experience, the interview process, and more. Registration opens on the Intranet on February 28: intranet.utsc.utoronto.ca. 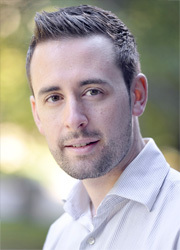 Professor Danielson comes to UTSC Psychology after completing his PhD at and spending one year on faculty at The University of British Columbia in Vancouver. As a teaching professor, his main focus is on the education of undergraduate students in Psychology. His primary teaching interests are developmental psychology, specifically infant linguistic, social, and cognitive development between birth and 12 months of age. He also loves teaching introductory psychology and giving students a taste of the field. In addition to teaching, Dr. Danielson is interested in pedagogical research that examines the intersection between academic achievement and mental health among University students. Professor Cooper completed his PhD in Clinical Psychology at Ohio State University, and postdoctoral training at Case Western Reserve University. His clinical research has primarily focused on examining how and for whom cognitive behavioural therapies work best. His teaching interests include psychotherapy outcomes, posttraumatic stress disorder, methods and analyses used in contemporary research, and current issues and controversies in clinical psychology. He is also interested in applied research aimed at enhancing student success by predicting outcomes, and developing innovative methods of preparing students for graduate school. The Mental Health Network is excited to host Dr. Jessica Dere, Assistant Professor from the Department of Psychology, as our guest speaker presenting her talk on “Taking A Culturally-Informed Approach to Mental Health: Challenges and Rewards”. Drawing on illustrative examples and empirical findings, Dr. Dere will discuss the fundamental role that cultural factors play in mental health and illness. Taking a cultural approach to mental health is crucial across the areas of teaching, research, and clinical care. Although working to understand individuals in context is full of complexity and challenges, Dr. Dere will argue that it is necessary and ultimately profoundly rewarding. Join us on Wednesday November 9, 11:30am - 1pm in room AA160. Light Refreshments will be provided. Please RSVP on Intranet. Please feel free to share with your networks. All are welcome. Dr. Ruocco receives AFSP's 2017 Young Investigator Research Award! The American Foundation for Suicide Prevention has selected Dr. Anthony Rucco to receive the annual Young Investigator Research Award for 2017 based on his AFSP-funded study, "Neurocognitive Predictors of Treatment Response to Dialectical Behavior Therapy for Suicidal and Non-Suicidal Self-Injury in Borderline Personality Disorder." He will be presenting his study results and related research at the 2017 American Association of Suicidology conference in Phoenix, AR on April 26- 29, 2017 (http://www.suicidology.org/annual-conference/50th-annual-conference). Please join us in welcoming Prof. Vina Goghari to the Psychology Faculty. Professor Goghari is excited to join the Department of Psychology and Graduate Program in Clinical Psychological Science as an Associate Professor. She is interested in the basic cognitive and affective processes and how they go awry in severe mental illness, with an emphasis on schizophrenia and bipolar affective disorder. Current methodologies include experimental and behavioral testing, family studies, and functional and structural neuroimaging. Please join us in welcoming Prof. Brett Ford to the Psychology Faculty. Professor Ford will join the psychology department at the University of Toronto this fall as Assistant Professor and director of the Affective Science & Health Laboratory. Her research centers on two inter-related questions: What do people believe about emotions and what strategies do people use to regulate their emotions? Using multi-method and interdisciplinary approaches -- including experiential, behavioral, and physiological assessments -- she examines the structure of these beliefs and strategies, the factors that shape them, and their implications for health and well-being. Welcome Prof. Michael Souza, Teaching Stream! Please join us in welcoming Prof. Michael Souza, Teaching Stream to the Psychology Faculty. Professor Souza joins UTSC Psychology after having spent six years as a faculty member in the Department of Psychology at the University of British Columbia, Vancouver. His teaching interests include topics in higher-order cognition (e.g., executive functions), cognitive neuroscience (e.g., brain imaging techniques), and neuropsychology (i.e., how brain lesions affect cognitive processing). He is also interested in pedagogical research exploring how to enrich the undergraduate experience by developing and refining events, programs and student organizations to best meet the ever-changing needs of students. We are delighted to welcome Prof. Blair Armstrong to the Psychology Faculty. Prof. Armstrong's primary research interests relate to the cognitive and neural representations, processes, and learning mechanisms underlying word comprehension and semantic memory. This work largely concerns developing theories of how ambiguous words are comprehended, the source of the similarities and differences between written and spoken word comprehension, how learning mechanisms lead to the emergence of cross-linguistic differences in lexical processing, and how newly-learned words are integrated into the lexical system. Complementing this work, he pursues research into how decision and response systems engage the word comprehension and perceptual systems in different tasks. His work focuses on developing explicit mechanistic accounts of these cognitive systems. This work is informed by tightly coordinated computational modeling using biologically-plausible connectionist networks and by empirical investigations using a range of behavioral and electrophysiological techniques. He is also interested in how computational algorithms can improve experimental methodologies such as stimulus selection, speech onset detection, and data analysis. Congratulations to the 2016 UTSC Research Award Recipients! Dr. Arruda-Carvalho recently joined the Department of Psychology as an Assistant Professor. She did her BSc in biomedicine and her MSc in cellular neurobiology at the Federal University of Rio de Janeiro, Brazil. She obtained her PhD from UofT at SickKids Hospital in Toronto, where she studied how neurons born in the adult brain contribute to memory formation and expression. During her Postdoc at Mount Sinai Hospital in NY, USA, she studied synaptic plasticity within selective brain microcircuits supporting emotional memory. Her research examines the relationship between the maturation of brain circuits, behaviour and stress in mice, and how these contribute to the onset of mental illness. Research Summary: Early life experiences crucially define cognitive and mental health function throughout life. Childhood and adolescence are the predominant age of onset for the majority of mental disorders and are periods during which key brain areas involved in emotional processing are maturing. Still, it is unclear how these changes in brain development influence circuit function and as a consequence affect behaviour and the onset of mental illness. Dr. Arruda-Carvalho's research focuses on understanding how the maturation of sensitive brain circuits underlies the emergence of complex behaviour and sensitivity to stress. The 2015 Daniel M. Wegner Theoretical Innovation Prize Nomination Panel is awarded to Michael Inzlicht, Brandon Schmeichel, and Neal Macrae for their 2014 Trends in Cognitive Sciences article entitled “Why self-control seems (but may not be) limited.” To truly understand human behavior, one must first understand the processes through which people guide themselves toward desirable ends, and away from undesirable ones. This process of self-regulation is a linchpin that ties together a vast range of motivated social actions from altruism to the suppression of stereotypes. Inzlicht, Schmeichel, and Macrae (2014) provide an incisive step toward understanding the basic mechanisms underlying self-control and, in so doing so, substantially advance the literature on self-regulation. They propose that apparent failures of self-control reflect the motivated switching of task priorities as people strive to strike an optimal balance between using cognitive energy to pursuing “have-to” goals versus preferring cognitive leisure in the pursuit of “want-to” goals. This perspective is consistent with both functional evolutionary considerations, as well as with proximate observations of self-control success and failure as the product of dynamically shifting motivational priorities. Their work offers a multi-level process model that changes the way researchers think about the very nature of self-regulation. Inzlicht, M., Schmeichel, B., & Macrae, C. N. (2014). Why self-control seems (but may not be) limited. Trends in Cognitive Sciences, 18, 127-133. The 2015 "CelebrateU" Faculty Award was given to Dr. Konstantine Zakzanis in recognition of his contributions to the UTSC Arts & Science Co-op Program. This award is given to a faculty member for providing advice and guidance to students, fostering growth, advocating for, and representing co-op within the community. Congratulations to the Principal's Awards Winner! Professor Marc Fournier, along with two other UTSC faculty members have been named Professor of the Year 2014-15 by the student run publication, The Underground. Dr. Ruocco has been awarded a 2015 Early Researcher Award to support his research on neural systems dysfunctions underlying impulse control in borderline personality disorder. Funded by the Province of Ontario's Ministry of Research and Innovation, the purpose of the Early Researcher Award program is to help promising, recently-appointed Ontario researchers build their research teams of graduate students, post-doctoral fellows and research associates. Psychology UTSC Professor and Undergraduate Student named 3M National Fellows! Professor Steve Joordens received the 3M National Teaching Fellowship for his innovative approaches to teaching and learning. Karen Young received the 3M National Student Fellowship, an honour given to undergraduate students in Canada who have demonstrated qualities of outstanding leadership and who embrace a vision where the quality of their educational experience can be enhanced in academia and beyond. The UTSC Department of Psychology and the UT Factor-Inwentash Faculty of Social Work will soon be accepting applications for the new Combined Honours Bachelor of Science (HBSc) Specialist and Specialist Co-op in Mental Health Studies and Master of Social Work (MSW) program. The application period is Nov. 2 - Dec. 15. Details are available here. Dr. Jessica Dere spoke at the TEDxUTSC 2015 conference, presenting a talk titled "The challenges and rewards of a culturally-informed approach to mental health". Drawing on her recent reflections about how best to teach at the intersection of cultural and clinical psychology, Dr. Dere shared some central ideas that underlie her own approach to culture and mental health. After establishing that "culture matters", she encouraged her audience to take a stance of informed curiosity, and to work on asking different questions about mental health. Each year, one graduate of a Canadian university is awarded the Mackenzie King Open Scholarship to pursue graduate studies at any school in the country. Institutions nominate a small number of applicants to be considered nationally, based on their academic achievements, personal qualities, and demonstrated aptitudes. This year, Dean Carcone was selected to receive this prestigious scholarship as he begins his graduate studies in Clinical Psychology at the University of Toronto Scarborough, under the joint supervision of Dr. Anthony C. Ruocco and Dr. Andy Lee. Dean’s research will investigate the neural systems dysfunctions underlying cognitive deficits in patients with borderline personality disorder. Esref Armagan, a blind painter who was involved in Prof. John Kennedy's study of human perception, was named one of 2014's Famous and Accomplished People with Blindness and Visual Impairment by International Business Times. 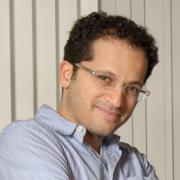 Prof. Kennedy's Discovery Channel video with Esref Armagan is available here. Prof. Segal was awarded a four year grant of $1,835,463USD to collaborate with Kaiser Permanente CO and the University of Colorado, Boulder to conduct a randomized trial to evaluate an online mindfulness based program for reducing residual depressive symptoms in patients who have responded to treatment but still have lingering symptoms. If you are interested/curious about this exciting new opportunity please be sure to attend this informative session. RSVP not required. The award is designed to recognize the significant contributions that international students make to Toronto's economic and socio-cultural development. Categories include entrepreneurship, community service, academic excellence, sports, arts and culture and professional achievement. 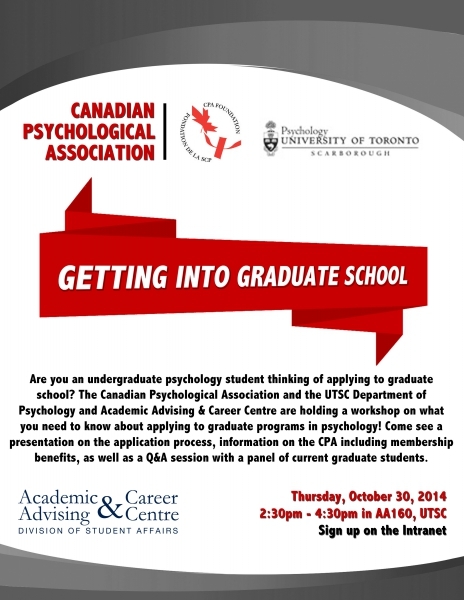 Ever wondered about psychology graduate programs and what life as a psychology graduate student is really like? Come join us as we hear from a panel of current psychology graduate students who will share their experiences on everything from selecting a program, finding a supervisor, application tips and so much more. Dr. Ruocco is the recipient of a 2014 NARSAD Young Investigator Grant from the Brain & Behavior Research Foundation in the United States, the largest non-government, donor-supported organization that distributes funds for psychiatric brain research. The purpose of this grants program is to facilitate innovative research opportunities for new investigators relevant to the understanding, treatment and prevention of serious psychiatric disorders. Dr. Ruocco's grant supported research will evaluate the effectiveness of a new brain stimulation technique called magnetic seizure therapy to treat suicidal thinking and behaviours in patients with borderline personality disorder, and to understand the potential effects of this treatment on neural systems responsible for emotion regulation and impulse control using functional magnetic resonance imaging. Nadia Al-Dajani wins the 2014 Graduate Student Research Award. Nadia, a UTSC Clinical Psychology Graduate student, won the 2014 Graduate Student Research Award - Masters Level. Nadia's research interests include elucidating the role of identity in mental health and investigating disturbances in identity formation, particulary in the context of borderline personality disorder. Congratulations to Prof. Steve Joordens who received Special Commendation for Educational Innovation! His contributions to the curriculum and his broad range of teaching and learning initiatives were recognized as significant and far-reaching. Prof. Joordens has revised and revamped the Psychology department's Introductory Psychology course, integrating new and innovative teaching strategies and technologies. He has brought new teaching innovations to his courses thorough three technologies designed to enhance and enrich the learning experience. Professors Mark Schmuckler and Ronald Smyth were honoured for their 25 years of service to UTSC. Tara Gralnick, Master’s student in Clinical Psychology at UTSC, was recently awarded the highly competitive Women’s Health Scholars Award from the Ontario Ministry of Health and Long-Term Care. The Scholar Awards Program in Women's Health was established to attract and retain pre-eminent women's health scholars in Ontario. The aim of this awards program is to excel, according to internationally accepted standards of scientific excellence, in the creation of new knowledge about women's health and its translation into improved health for women, more effective health services and products for women, and a strengthened heath care system. Under the supervision of Dr. R. Michael Bagby, Professor of Psychology at UTSC, Tara’s research will examine the role of rumination in the treatment and recurrence of depression in women undergoing cognitive-behavioural therapy or receiving antidepressant medication. This research has potential to guide clinicians in selecting a treatment type with the highest chance of immediate and long-term success in women suffering with depression. On April 22nd, 2014, the graduate students of the clinical science program at UTSC organized and hosted a mindfulness workshop with three expert clinicians who spoke on the use of mindfulness techniques in third wave therapies. Clinical and counselling graduate students from across the GTA were invited to attend and participate in a roundtable discussion on the use of mindfulness in therapeutic practice. The discussion was moderated by Dr. Zindel Segal, one of the founders of mindfulness-based cognitive therapy, who also led an experiential exercise with the attendees. The organizers would like to thank the speakers and attendees for their participation and contribution to this successful event. 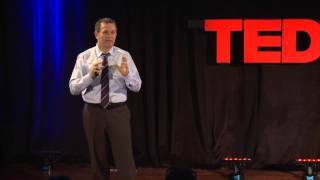 Zindel Segal's TEDxUTSC talk The Mindful Way Through Depression is available online. Michael Inzlicht's paper “What is ego depletion? A mechanistic revision of the resource model of self-control” wins the 2012 ISCON Best Social Cognition Paper Award. “What is ego depletion? A mechanistic revision of the resource model of self-control,” co-authored with Brandon Schmeichel and published in Perspectives on Psychological Science is the winner of the 2012 ISCON Best Social Cognition Paper Award. The award committee unanimously chose this paper from among many excellent submissions. "We all felt that your research offers a decisive theoretical advance for our understanding of how self control operates. In particular, your article offers an original process-based account of ego-deletion phenomena and makes new predictions about the conditions under which self-control is likely to be successful and when it may fail. As such your paper exemplifies in an outstanding fashion the value of the social cognition approach for psychological research." Inzlicht will present the research reported in the paper at the upcoming Social Cognition pre-conference during the next SPSP meeting (February 13, 2014 in Austin, TX). Anthony Ruocco receives New Investigator Salary Award from CIHR! The objective of the New Investigator Salary Award program is to provide outstanding new investigators with the opportunity to develop and demonstrate their independence in initiating and conducting health research by providing $60,000 in salary support per year for five years. This award supports Dr. Ruocco's ongoing research program to isolate neurocognitive intermediate phenotypes in borderline personality disorder, and to use these biological markers to inform which interventions might be most beneficial for this disorder. Congratulations to our 2013 Principal's Award Winners! It’s with great pleasure to announce that many of the winners of the 2013 UTSC Principal’s Awards are Psychology department members. Our Department is exceptionally well represented this year, which speaks to the high quality work that’s being done in our Department overall, and more specifically, to the excellence of our colleagues and students. Michael Inzlicht elected to Fellow Status in the APS! In recognition of his sustained outstanding contributions to the advancement of psychological science, Michael Inzlicht has been selected for Fellow status in the Association for Psychological Science (APS) by its Board of Directors. As a Fellow of APS, he is in the company of the most prominent scientists in the discipline. Congratulations Mickey! Psychology welcomes two new clinical faculty members! Renowned scholar and scientist, Dr. Zindel Segal joins us as a Distinguished Professor of Psychology in Mood Disorders and Director of Clinical Training for the UTSC field of the joint OISE/UTSC Graduate Program in Counseling and Clinical Psychology. 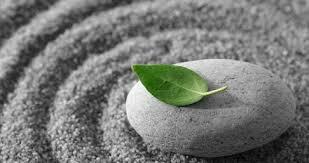 He is widely known for his work on mindfulness based cognitive therapy. 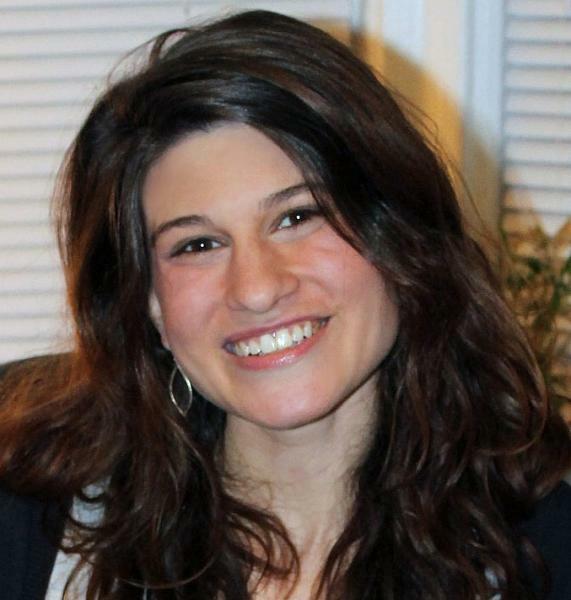 Clinical psychologist, Dr. Jessica Dere joins us as a Clinical Lecturer, slated to teach core course offerings in the mental health studies program. Dr. Dere has extensive schoalrship in the areas of acculturation and the experience and expression of emotional distress. Please join us in welcoming Dr. Segal and Dr. Dere! Professor Page-Gould named Rising Star of Research by APS! The Association for Psychological Science recongizes the influence Professor Liz Page-Gould has had on the field of psychology at such an early point in her research career. Visit the April 2013 issue of the Observer to learn more about Professor Page-Gould's research interests along with those of her cohort of Rising Stars. Effective Winter 2013, the Specialist and Major programs in Mental Health Studies and Psychology will become limited enrolment programs. Students will be required to have a minimum average of 70% in Introductory Psychology courses PSYA01H3 and PSYA02H3 to apply to Specialist programs and a minimum average of 60% in Introductory Psychology courses PSYA01H3 and PSYA02H3 to apply to Major programs. With the support of Governing Council, the Department of Psychology felt it necessary to introduce admission requirements to these very popular programs for many reasons, the primary one being the enhancement of the student experience. Over the next few years, a reduction in class sizes will result in easier access to required courses, increased faculty-student interaction in the classroom and an enhancement of methods of assessments; thereby allowing programs to better achieve their learning outcomes. Furthermore, these changes bring us more inline with the requirements of our sister programs at the other University of Toronto campuses. Professor Steve Joordens, along with three other UTSC faculty members have been named Professor of the Year 2012-13 by the student run publication, The Underground. 2013. He will be dearly missed. Announcing the new Graduate Department of Psychological Clinical Science! Apply to be a part of the Budding Scholars program! Budding Scholars are a cohort of aspiring students from our Introductory Psychology classes who are interested in exploring the various facets of psychology and neuroscience, building their professional network and becoming engaged in the scientific community here at UTSC. For more information, please view details on the Undergraduates page. UTSC Academic and Advising Centre is recruiting senior students for Employment and Study Skills Peer Coaches. The application is due March 22, 2013. The third annual NeuroXchange Conference (NXC) is being hosted by the BioPsych Society at McMaster University. This is an undergraduate Neuroscience conference that provides students the opportunity to present, network, and learn about this growing research field. For more information on these and other opportunities, please check our recently updated Undergraduates page. Steve Joordens has successfully secured a Gates Foundation grant which will help bring the study of psychology to thousands of people around the world via Coursera. Read more. Post-doctoral Fellow, Lisa-Marie Collimore, received a Mitacs award for her research on Cogneeto, the online educational tool and brainchild of UTSC professor Steve Joordens and graduate student Dwayne Pare. Mitacs is a Canadian research network that aims to bridge partnerships between companies, government and academia. Lisa's work is currently featured on the UTSC homepage and the Mitacs website. The department is also pleased to recognize PhD student, Marta Wnuckzo, who is the first UofT graduate student selected for the 2012 American Psychological Association Dissertation Research Award. This award program assists doctoral students with funding and promotes research excellence in psychological science. Congratulations to Steve Joordens for winning the 2011-12 OCUFA Teaching Awardwhich recognizes exceptional contributions to the quality of higher education in Ontario. Read more. Merujah Sivalingam, 4th year student and volunteer with Let's Talk Science, was recognized for her creativity and hard work in the development of the Neuron Board Game. This "Cranium" inspired board game teaches students about the nervous system by taking them on a progressive journey through the dendrites to the receptor sites of a neuronal cell! Congratulations Merujah! Originally conceived by John Bassili, WikiScholar is a new course that promotes learning by doing. Rather than being lectured to, students choose topics from within Psychology, research them, then produce Wikipedia articles describing what they have learned to the world. Some of their articles were read over 10,000 times within weeks of them going live! Read more. Welcome Interim Psychology Chair, Professor George Cree! Please join us in welcoming George Cree to the role of Interim Chair of the Department of Psychology! George will serve a one-year term, from July 1, 2012 to June 30, 2013. A respected colleague, researcher and instructor, George has served the Department extremely well since joining UTSC in 2003. He has a strong record of service in his role as Associate Chair and we look forward to his leadership as Chair over the coming year. Janelle LeBoutillier has been honoured with the 2012 UTSC Faculty Teaching Award to recognize her excellence in teaching. Janelle is a Departmental treasure and an extraordinary resource in the University’s quest for teaching excellence. There is no greater testament to the quality of Janelle’s contribution to the student experience at the University of Toronto Scarborough than all the grateful embraces she receives at Convocation from her students. Over the years, she has mentored many students, published many high quality papers, and provided substantial administrative service to the department, the university and the community. The Department is also proud to announce that Sarah Johnson, graduate student with Suzanne Erb has won the 2012 UTSC Teaching Assistant Award. Since joining the Department in 2007, Sarah has been an effective Teaching Assistant in demanding neuroscience courses such as Neuroanatomy Laboratory, Drugs and the Brain, and Advanced Neuroanatomy Laboratory. She is continuously praised by instructors, colleagues and students for being very approachable, available, organized and innovative. It is clear that Sarah takes a genuine interest in her students and cares about the quality of her instruction. Janelle and Sarah are highly deserving of their awards, and we would like to both congratulate and thank them for their contributions to the Department. They will be honoured in front of colleagues and students at the annual Celebration of Distinguished Services on June 26th. Tim Al-Khindi won the 2011 Governor General's Silver Medal for science, earning the highest marks among all science students graduating from U of T in 2011. Tim has also won the Gordon Cressy Student Leadership Award, which recognizes graduating students for outstanding contributions to improving the world around them and inspiring others to do the same. A student in the neuroscience specialist co-op program and a major in psychology, Al-Khindi is well known to many professors in the Department, having worked on research under their supervision and having assisted the Department at recruitment and student academic events. Tim will be attending Johns Hopkins University for their combined MD/PhD program. The Toronto Star, which is publishing a series on the brain, provided extensive coverage of Laura-Ann Petitto's research in its Saturday July 17, 2010 edition. You can read the article here. Gerry Cupchik has received the Rudolf Arnheim Award from Division 10 (Psychology and the Arts) for distinguished research over the years (apa.org/divisions/div10/awards.html). To mark the award, Gerry has been invited to deliver an address at APA next August in San Diego. Mickey Inzlicht will receive $140,000 to further his research in social neuroscience, stigma and self-control. The funds will help him take his fascinating research in new and exciting directions. John Kennedy has been named University Professor. This is a prestigious honour that the University bestows on its most distinguished faculty in recognition of their exceptional scholarly achievement and pre-eminence in a particular field of knowledge. Steve Joordens punctuated his promotion to Full Professor by winning, in collaboration with Dwayne Paré, a National Technology Innovation Award for the creation of peerScholar. This web-based program, now published by Pearson, allows students in large courses to engage in writing and critical analysis in the context of peer evaluation exercises. Ada Le, an undergraduate student who has contributed to the creation of the Psychology and Neuroscience Departmental Association (PNDA) and to coordinating the webOption team in recent years, has been named UTAA Scholar.